Here is some helpful information that will streamline the process and make your event as stress-free as possible. Before consulting with Chef Maggie, it is extremely helpful to have your budget in mind. This helps her know what kind of menu to recommend to you. For example, if you have a tighter budget, Chef Maggie will recommend items that are quick to prepare or are vegetable or grain-based as these are often the most cost effective. It is helpful to have an idea of the event in your mind and to convey that to Chef Maggie, specifically when it comes to the timeline. For example, if you have any special speakers, it is extremely helpful to know and specify the time and length of their speeches. If you have hired any other vendors for the event, like magicians, musicians, balloon artists, etc., please tell Chef Maggie in advance as the placement for these vendors is helpful to keep in mind as well as the power load these other vendors may occupy. Consider setting up generators for these vendors as the power load from the kitchen on the day of an event and prep days proceeding the event is substantial. It is helpful to know the allergies/dietary preferences of your guests and to inform Chef Maggie so she can create a menu suited to a variety of preferences. 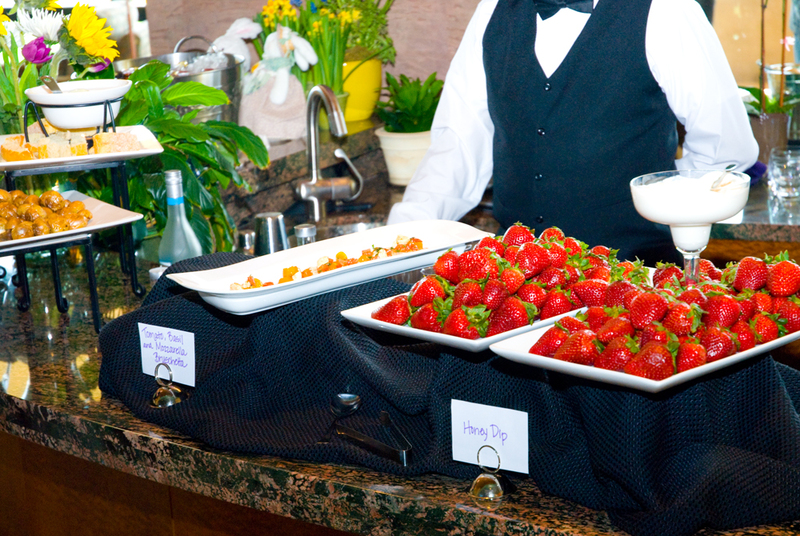 It is important to know these specifics to make your event the best that it can be. It is helpful to book cleaners and window washers for a day before the prep days as other people in the kitchen can slow down and impede the process of preparing the cuisine for the event. The same goes for other vendors; if it is possible for your other vendors to set up before Chef Maggie and her team arrive, it is extremely valuable and the best possible situation. Consider lowering the temperature of your AC at least four hours prior to your guests arriving if your event is in the summer. As your location fills up with people, the temperature increases dramatically and it may not be possible for your AC to recover if it is not primed in advance. If your event is in the winter, perhaps consider lowering the temperature on your heater. It is beneficial to have your bathrooms ready to go with toilet paper and guest towels. Please make sure that your counter tops are clear and your available refrigerators are as empty as possible to accommodate prepared food.